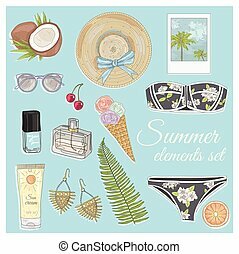 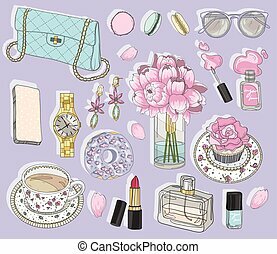 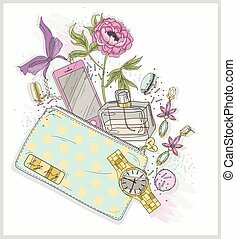 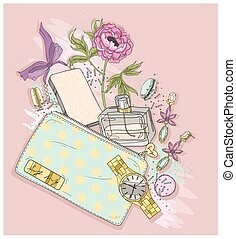 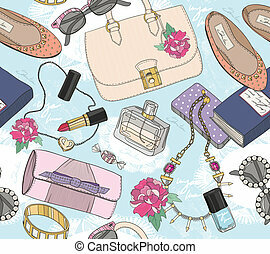 Background with purse, mobile phone, perfume,flower, jewelry and macaroons. 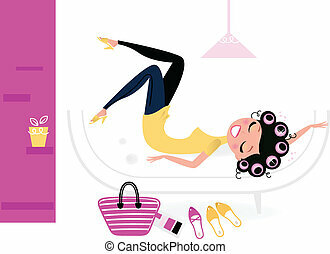 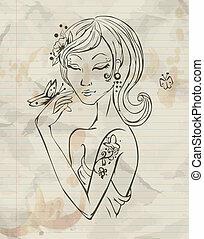 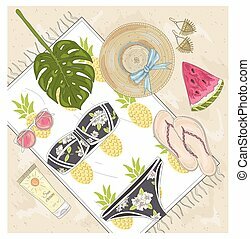 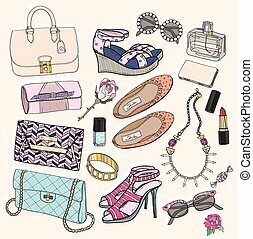 Cute illustration for girls or women. 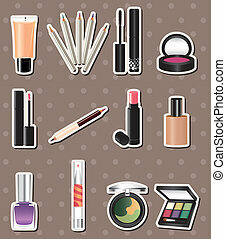 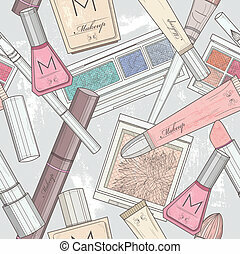 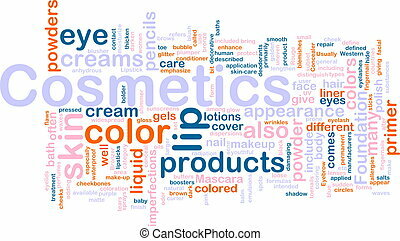 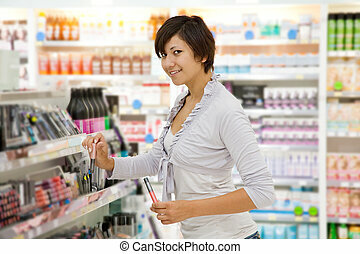 Seamless beauty pattern with make up, perfume, nail polish. 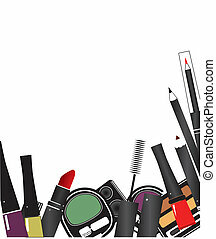 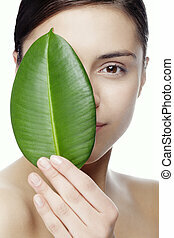 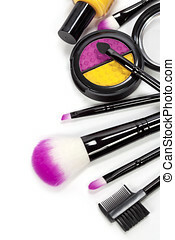 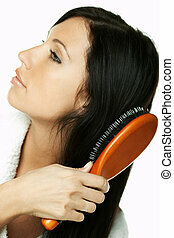 Background for girls or women. 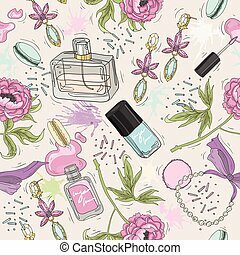 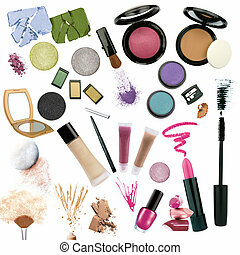 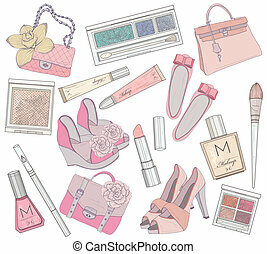 Seamless beauty pattern with make up, perfume, nail polish, flowers, jewelry. 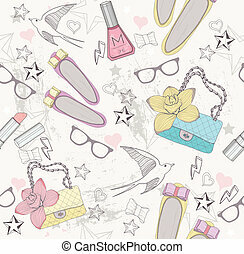 Background for girls or women. 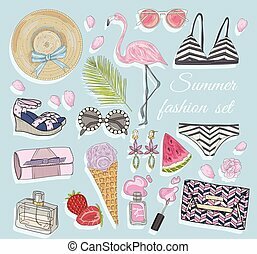 Cute fashion seamless pattern for girls. 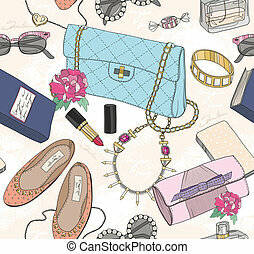 Pattern with shoes, bags, cosmetic, makeup elements, glasses and birds. 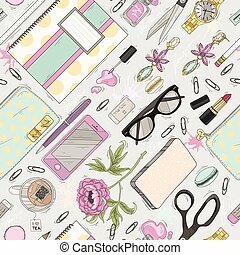 Seamless beauty pattern with make up, nail polish, flowers, jewelry, notebook, pen. 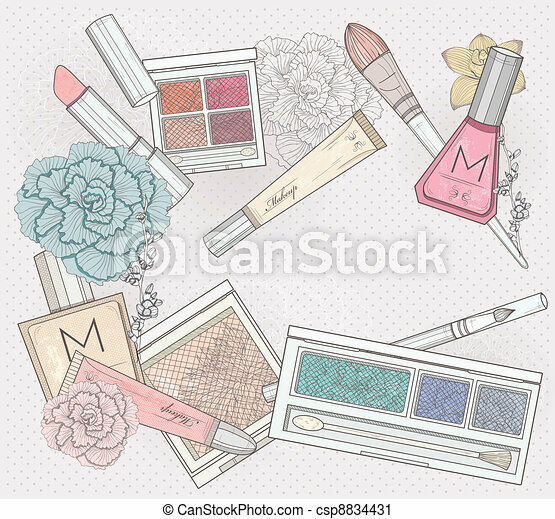 Background for girls or women. 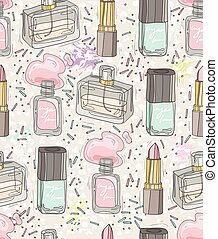 Cute seamless office pattern.